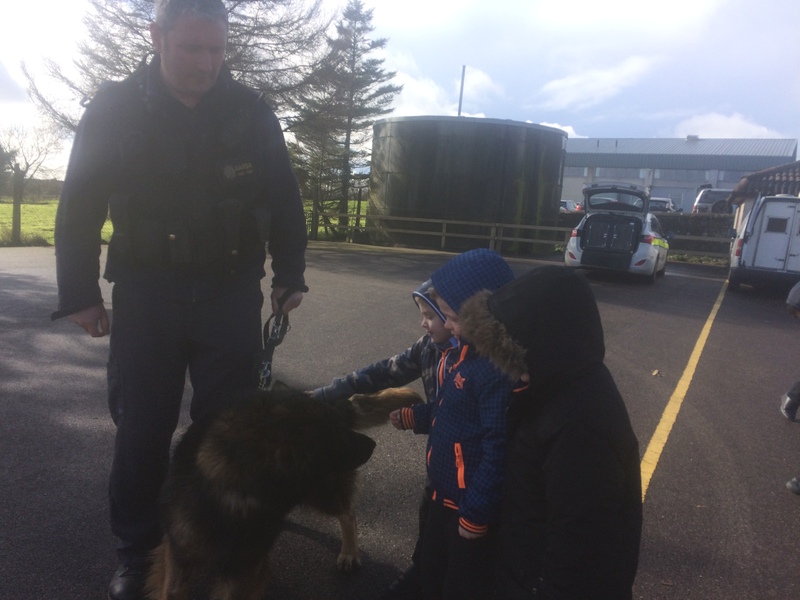 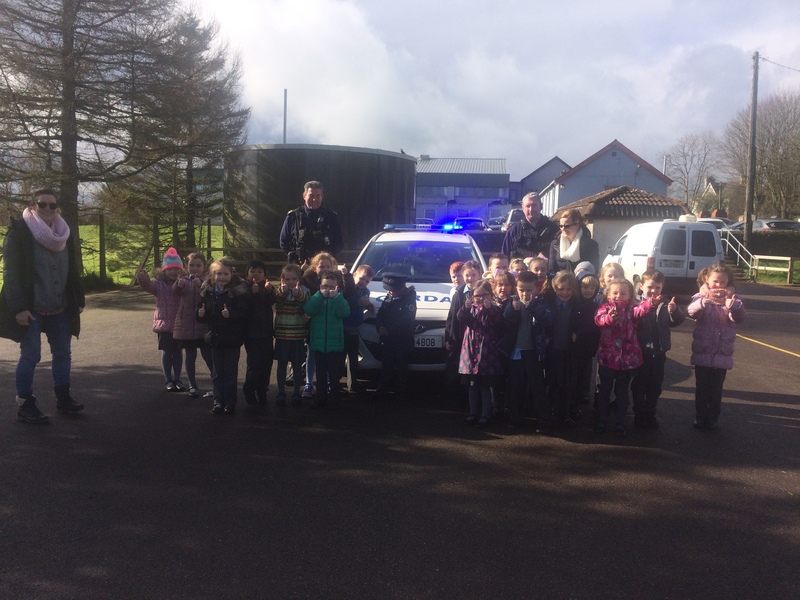 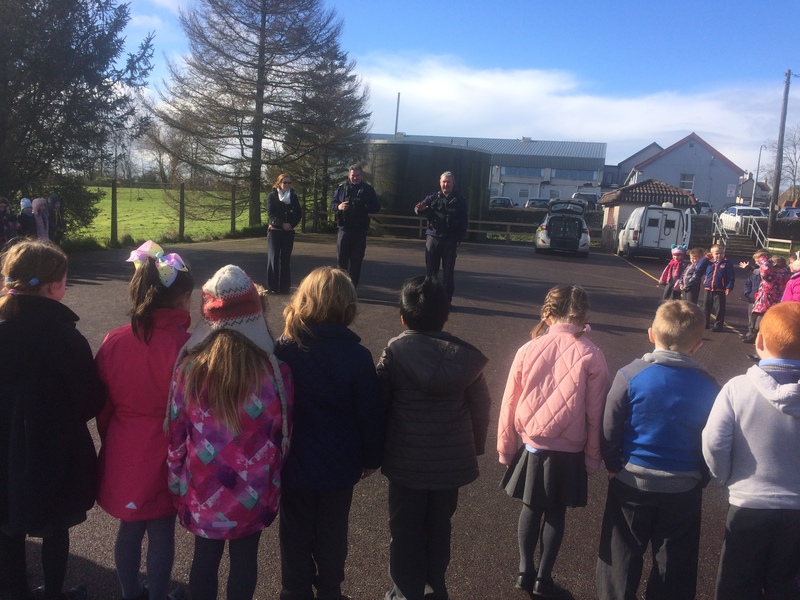 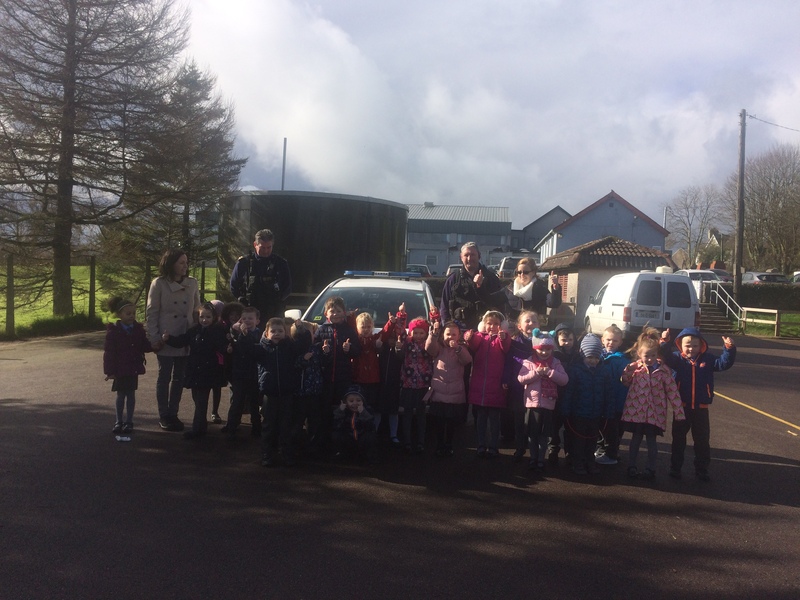 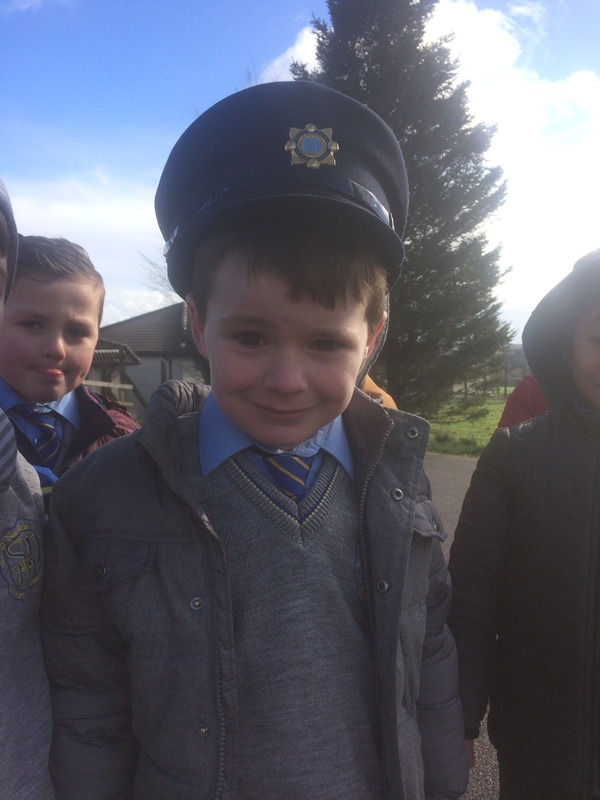 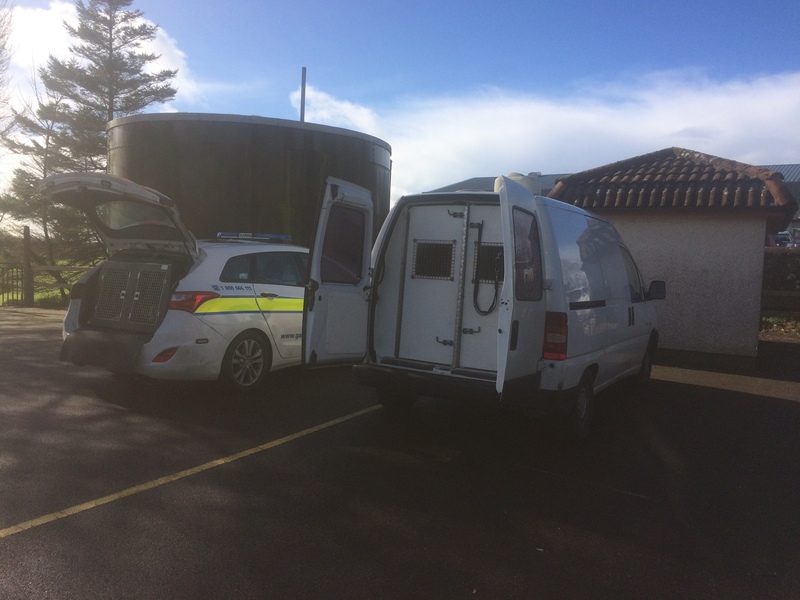 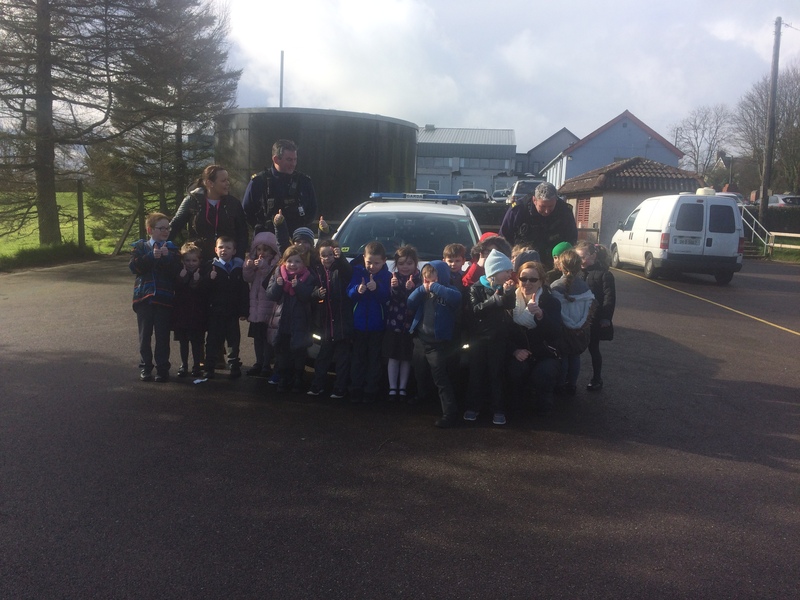 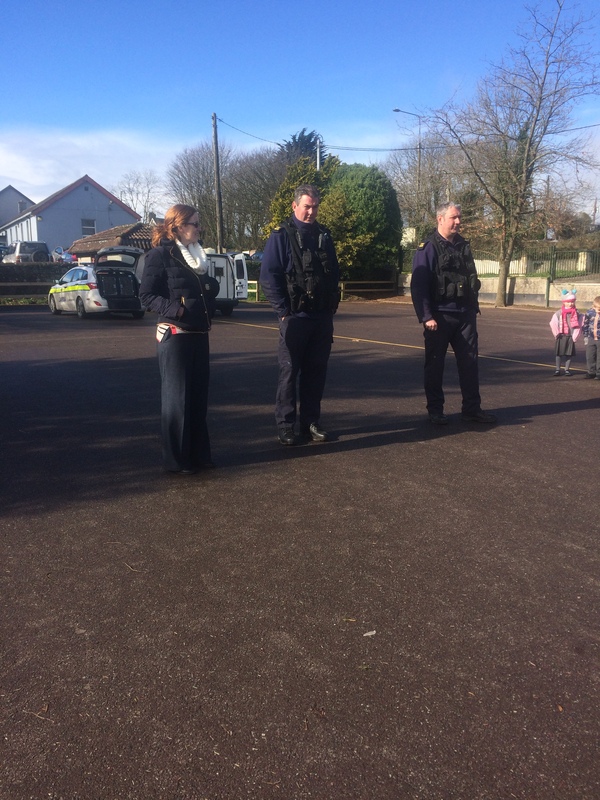 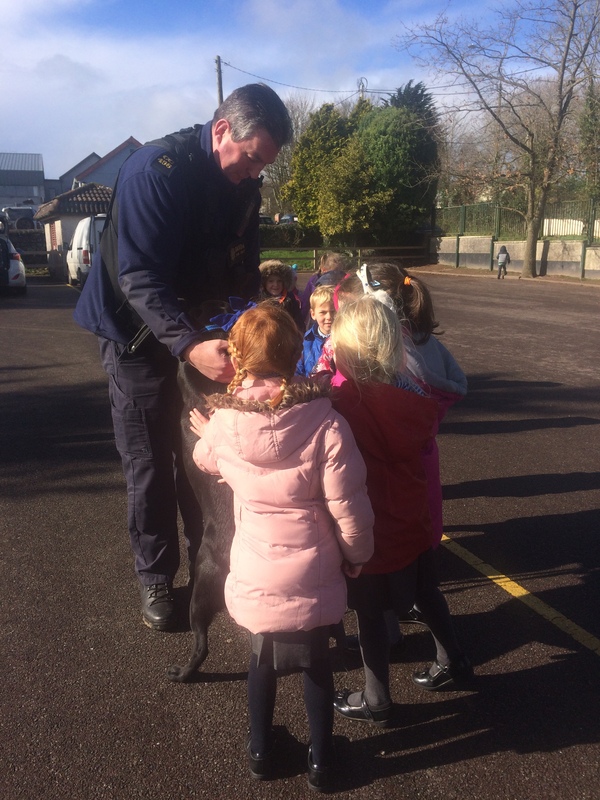 Junior and Senior Infants were very surprised on February 27th when Belle’s Mammy brought her colleagues from the Guards to visit us. 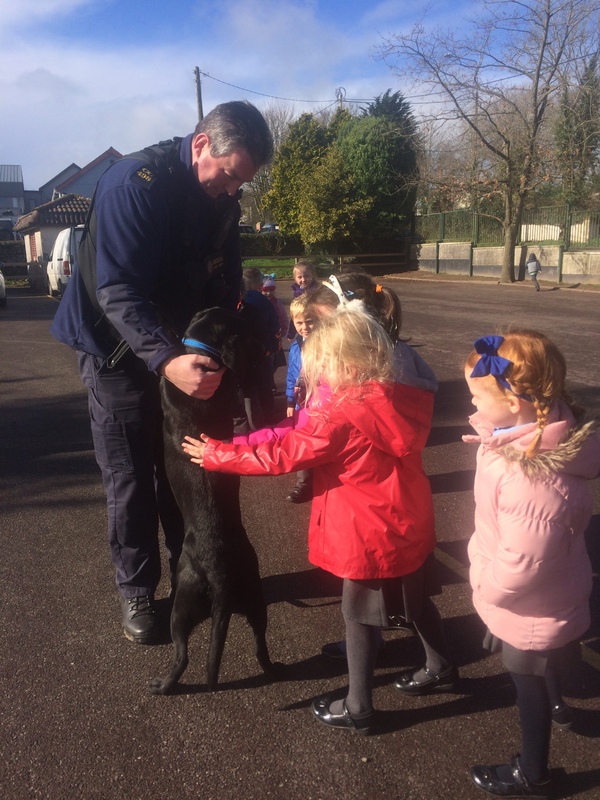 They brought their dogs with them and told us all about the important work they do keeping people safe. 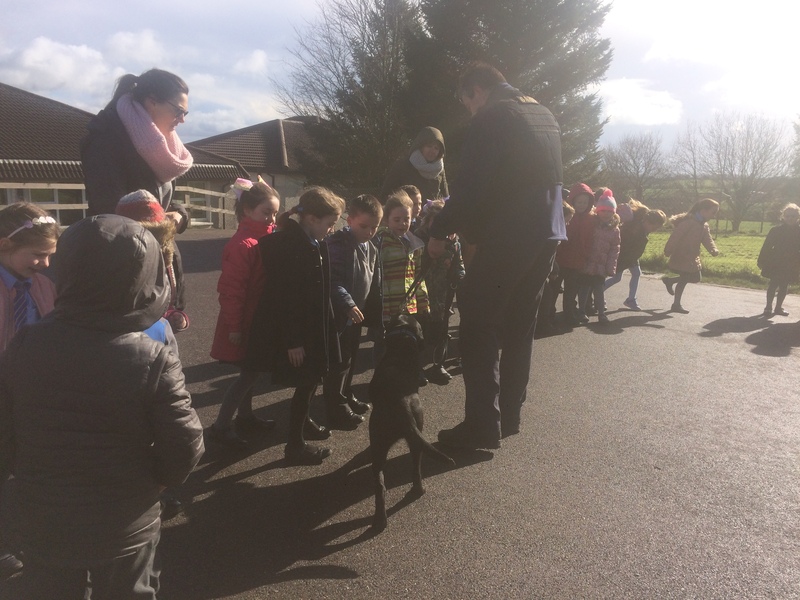 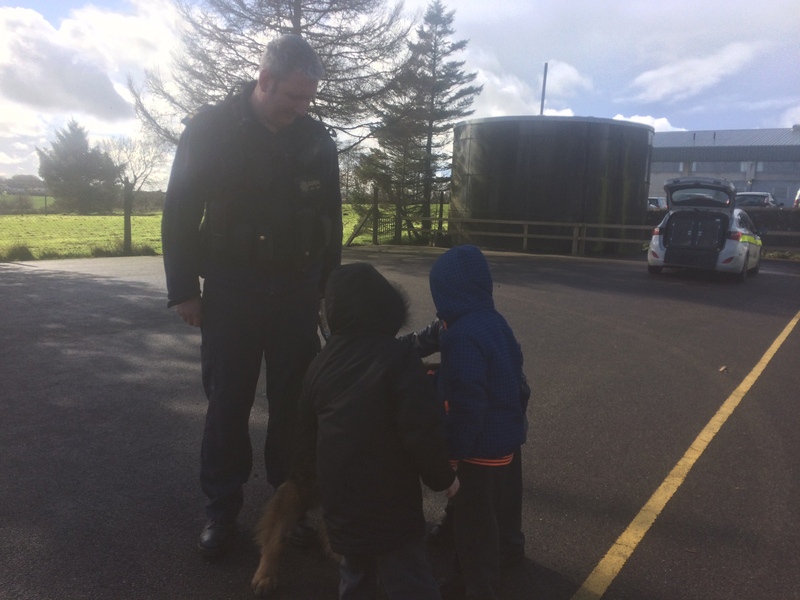 All of the children listened carefully and were very quiet and gentle when meeting the dogs. 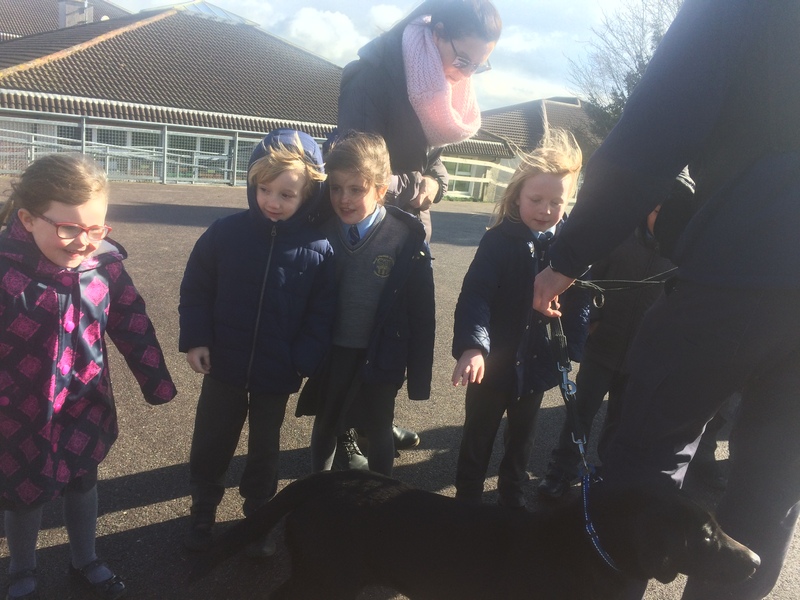 It was a great introduction to our theme of Vets and Animals. 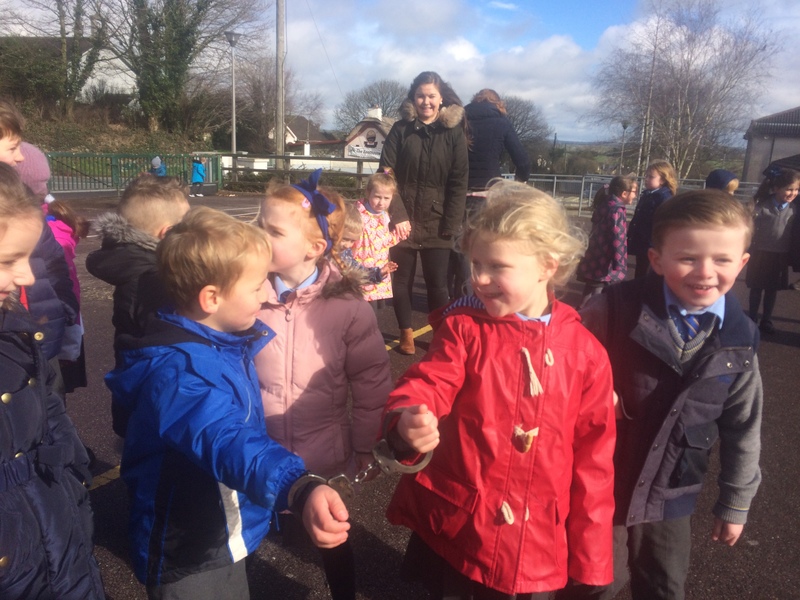 Have a look at the pictures below. 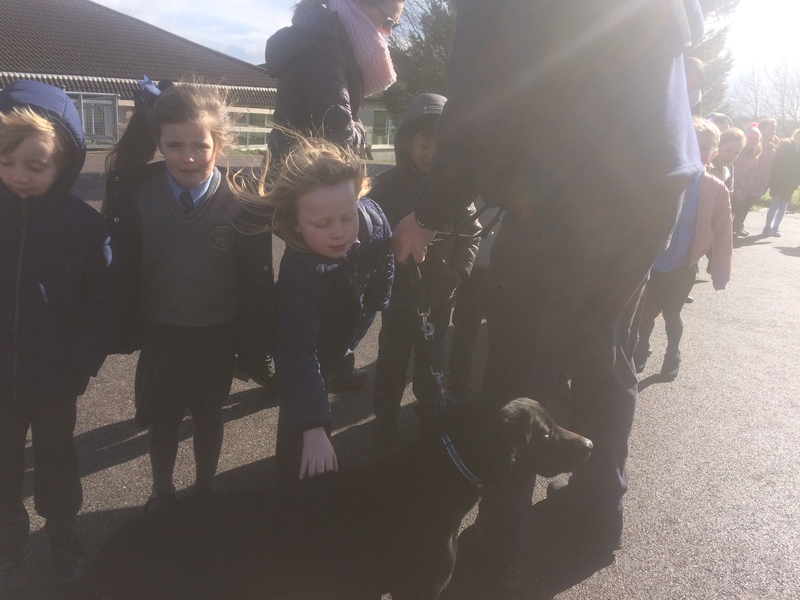 A big thank you to Belle’s Mammy, Iris, for organising this.